In today’s rumor rundown, Panarin is sticking to his guns, the Calgary Flames are considering moving on from a forward they drafted with high expectations, and the Toronto Maple Leafs may have realized the mistake they made in approaching the multiple contracts they need signed and are trying to correct it. 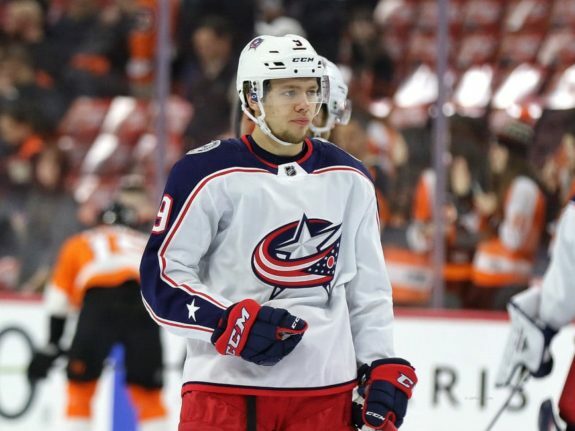 All summer long, speculation was that Artemi Panarin was looking to leave the Columbus Blue Jackets at the end of the season, or at the very least, test free agency. He wasn’t willing to talk a contract extension and suggested to the team if they were going to trade him, they should do so before the start of training camp and preseason on September 13th. Fast forward nearly a month and things haven’t changed for Panarin. Alison Lukan of the Athletic for the Columbus Blue Jackets said that after Thursday’s game, Panarin noted that nothing has changed for him regarding contract negotiations. He is focused on hockey now and will deal with the business side of things when the season is over. This is not good news for the team whose hope is that Panarin starts to get into playing with the team again and feels like he belongs with this club, then changes his mind on staying put. If the Blue Jackets are going to trade him, it’s up to them now because Panarin has no intention of conducting any contract talk while the season is in motion. 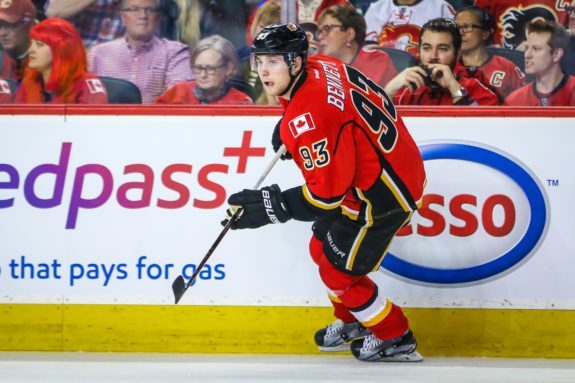 Trusted NHL Insider, Elliotte Friedman was on Sportsnet 960 talking about Calgary Flames forward Sam Bennett and mentioned that Bennett’s role with the Calgary Flames this season might not be up high on the roster and as such, the Flames might be willing to move him. Bennett is still trying to define his role with the Flames and will likely see games where he plays fourth line-type minutes. Speculation is that teams may call about him thinking he’s got more potential with their organization than he does in Calgary but Friedman said the Flames aren’t just willing to give Bennett away. “I think your GM is well-aware about the potential, and I think he’s got a very long-term vision in the sense that if anyone is calling him about Bennett, I think the price is pretty high,” Friedman explained. Friedman also contends that there is some concern in Calgary that if they do trade him, he could figure things out with his game and be the player that made him the fourth overall pick in 2014. It’s an interesting situation for Calgary in that, should they choose not to play Bennett much, he might not break out offensively. But, if they move him to a team that will play him and he flourishes, they’ll be kicking themselves for giving up on him too soon. Leafs Trying to Correct Their Mistake? Damien Cox of The Toronto Star is reporting the Leafs should take a page out of the Winnipeg Jets handbook and start locking up their young core to contracts right away. The Jets were ahead of the curve when they signed Nikolaj Ehlers to a seven-year, $42 million extension last October. It’s bound to pay off handsomely. 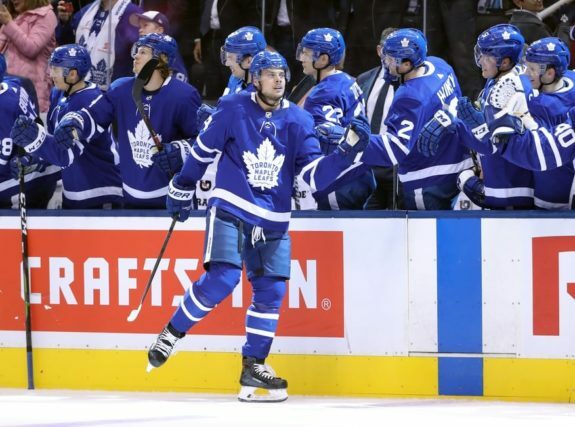 Now, the Leafs are learning that players have their own interests in mind with the holdout of William Nylander and delaying things could be costly. Cox believes the Maple Leafs are trying to do whatever they can to have this Nylander situation not repeat itself and they want to get Auston Matthews and Mitch Marner locked up early so as to avoid contract issues where comparables create higher contract asks or the cap rises and players expect certain percentages of the team’s overall cap. Cox cites the fact that the Maple Leafs have already held contract talks with Matthews and Marner’s camp as evidence that the organization realizes the longer they wait, the more expensive things could get. As it is now, according to TSN Hockey Insider Darren Dreger, Nylander’s agent, Lewis Gross, has yet to drop his initial ask of more than $8 million per year on a long-term deal. If the asking price doesn’t drop, the Leafs may have to consider trading the 22-year-old winger. This is not a situation Toronto wants to be in with either Matthews or Marner.